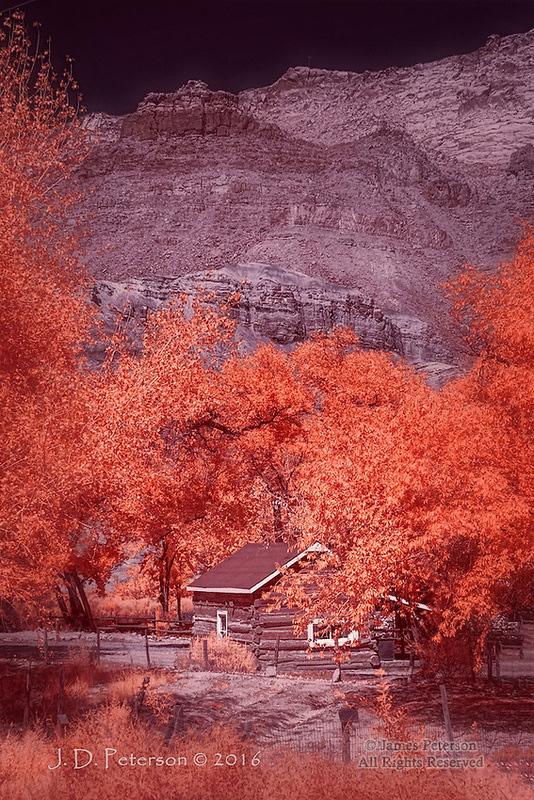 Cabin at Lonely Dell Ranch, Lees Ferry, Arizona (Infrared) ©2016 James D Peterson. From our 21st century perspective, it's hard to envision how - or why - anyone would live in a rugged and remote place like this, but they did. This settlement is at the mouth of the Paria River, where it empties into the Colorado.